There have been plenty of developments in the world of commercial security cameras in 2018. Most recently artificial intelligence has made its way into the security sector. Artificially intelligent security cameras bring facial recognition, behavioral learning, and even voice activation to the table. Check out these six cutting-edge commercial security cameras to see the best cameras of 2018. Developed by Earth Eyes, AI Guardman works to prevent shoplifting in Japan’s busy retail stores. Using open source technology developed by Carnegie Mellon University, it scans the body positions of customers and matches the data to potentially suspicious behavior patterns. Then, if it sees something noteworthy, it alerts shop owners through an app. AI Guardman’s ability to alert owners through a connected application via phone places it in the world of IoT, or the internet of things. Earth Eyes claims that the Guardman can reduce shoplifting in stores by up to 40 percent. The commercial security camera comes with a $40/month subscription for cloud support and has an up-front price of around two thousand dollars. Aiming for big businesses and commercial real estate, AI Guardman could soon find its way into large corporations and firms that need the best to protect their facilities. However, AI Guardman isn’t without its drawbacks as Earth Eyes is still working to fix errors. These errors include misidentifying normal behavior – such as when indecisive customers pick up an item and then replace it or when salesclerks restock shelves – as shoplifting. This video motion detection application will detect and trigger an alarm whenever anything moves within predefined areas in a camera’s field of view. With the ability to be used both indoors and outdoors, this software is ideal to integrate with a camera in low-traffic areas, such as after-hours monitoring of office buildings, retail stores, industrial properties, vehicle depots, and unattended areas in non-critical applications. If you’re looking for an effective and efficient update to your already-existing commercial security cameras, AXIS motion guard is the update for you. Its ability to use intelligent algorithms to recognize motion caused by short-lived objects such as headlights, swaying tree branches and small animals. The AXIS Motion Guard uses customizable filters that can be refined using perspective configuration to associate different object sizes and the distance away from the camera to discern the actual size of the object. Kogniz released the CR01 in early 2018. This new commercial security camera specializes in facial recognition and has similar artificially intelligent features as AI Guardman. Kogniz also works off of behavior patterns but takes it one step further by memorizing what patterns are suspicious, versus working off of pre-defined patterns. The CR01 considers dwell-time amongst other behaviors to identify who is suspicious and who isn’t. The CR01 has a database of people of known concern, such as criminals, shoplifter, or ex-employee. It then uses facial recognition to employ the database in real time and alert the business when someone is identified. On top of its facial recognition abilities, Kogniz also specializes in threat detection. The CR01 detects potential threats, such as a weapon or dangerous object. For example, if an ex-employee attempted to enter the building with a knife, Kogniz would be able to alert the business owner of the threat. The Kogniz CR01 combines all of its features into access control. It can be set to watch over a specific area or room such as a data center or stock room and notify users when an unauthorized person comes into view. The Amaryllo AR4 was the grand winner of the CES Best of Innovation Award winner under the Smart City category on January 08, 2018. This artificially intelligent security camera works to eliminate false alarms with its identification abilities. Similar to the first two commercial security cameras on this list, the AR4 uses facial recognition to ascertain who belongs on your property and who does not. However, it takes it one step further by identifying between humans and vehicles. Now you’ll know when a car loiters outside your home or business for too long. The AR4 doesn’t only protect your facility, but it protects the data it creates as well. Amaryllo has equipped the security robot with military grade 256-bit encryption. This technology offers privacy protection. With a built-in 8 GB memory, AR4 saves any snapshot alerts for three days, allowing you to remotely access what happened in the past 72 hours. The Amaryllo AR4 offers a multi-view live display in order to monitor multiple cameras in one display and keep you connected. This commercial security camera is pretty rugged. It can operate outdoors in temperatures from -20 to 120 degrees Fahrenheit. IC Realtime’s Ella won a major award at the ISC West 2018. The video search solution took home the New Product Showcase Award from the SIA. So what’s so award-winning about video search? Ella uses artificial intelligence to actively search through the video taken from commercial security cameras and find what you’re looking for. Essentially, Ella is Google for commercial security camera footage. For example, if you’re attempting to find a woman wearing a pink shirt in your footage, all you have to do is type the phrase into Ella and she’ll pull up pictures of your woman in a pink shirt. Ella changes how security personnel interacts with video footage. She uses deep learning to analyze metadata and turn footage into searchable information on any device. She is open to all video streams including Android, iOS, Browsers, VMS, NVR, or IP cameras. IC Realtime set up Ella to work with all recorded video from the Cloud—maximizing reliability, efficiency, and speed. Worried about something specific? Ella uses personalized alerts to tell you whenever something happens that matches your original search term. Ella is a learning software. She uses advanced machine learning algorithms to identify what you care about. This means that she improves over time and customizes your daily summaries. If you’re looking to defend facility perimeters, then AXIS Perimeter Defense may be the camera for you. When integrated with Axis network cameras, horn speakers, and video management software, the Perimeter Defender provides comprehensive security through a video-based solution. The AXIS Perimeter Defense is able to identify four different zone types and provide a different alert for each zone. These zones include intrusion, zone crossing, loitering, and conditional zone crossing. As a scalable analytics application, Axis Perimeter Defender can be embedded in as many network cameras or video encoders as required without the need for additional hardware. With the ability to detect multiple events occurring simultaneously, it can dismiss non-threating ones and notify security staff of crucial situations. Not all businesses require AI solutions – but all businesses deserve security and peace of mind. 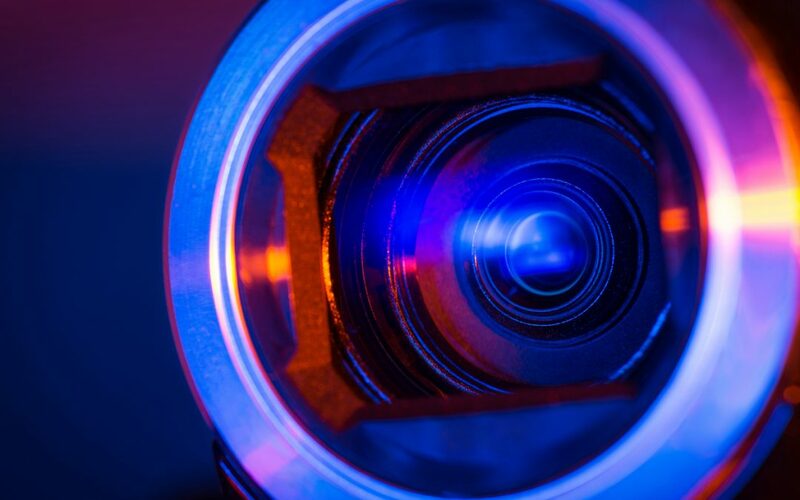 Your commercial security cameras cannot work their best unless they’re properly integrated. Medlin Communications has experienced success in all kinds of locations, from small businesses to giant retailers with over 100 locations Medlin can help you find the perfect security system and get it working. You will find us to be incredibly focused on timeframes, transparency and consistent communication. If you’re considering investing in a cutting-edge security system, contact us today. We’re here to get your business running smoothly.